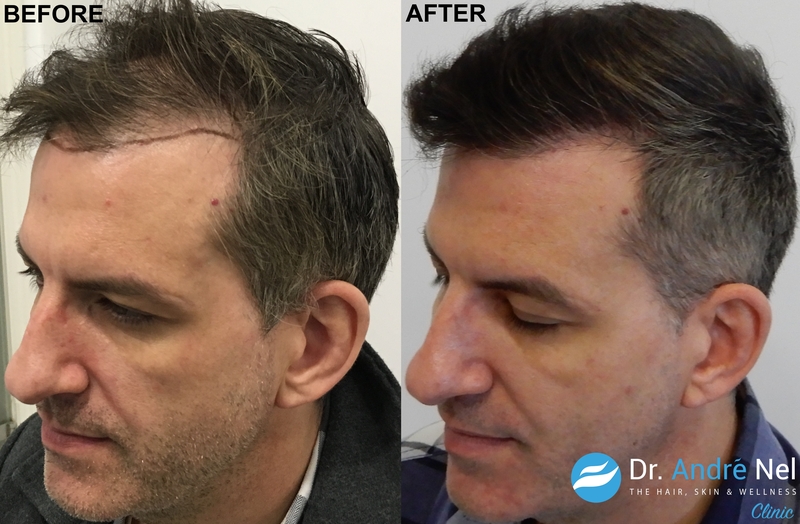 When Steven came to The Hair, Skin & Wellness Clinic he had hair loss occurring in the mid-scalp and frontal zone. 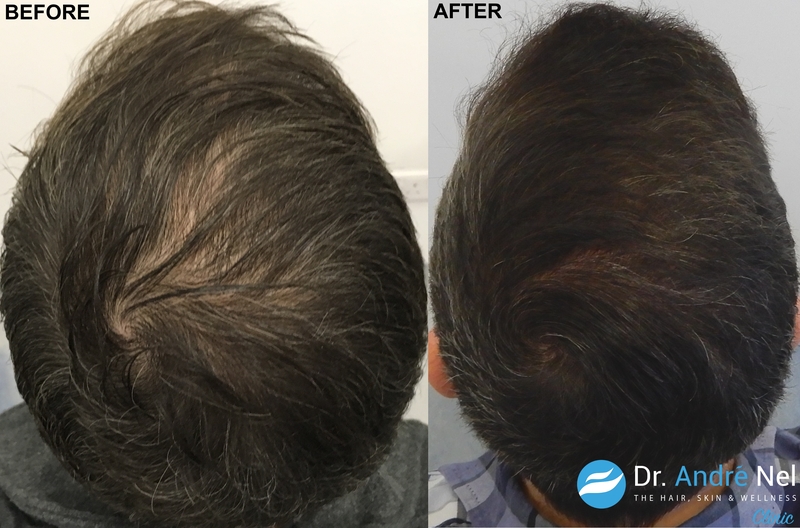 Steven underwent a hair transplant of 2000 FUE grafts with Dr. André Nel and 7 months later the results have proved successful. 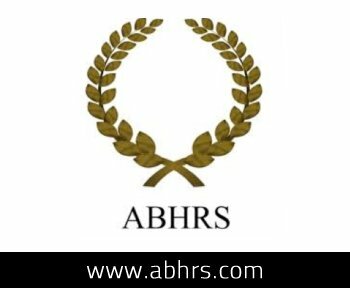 "I have been trying to manage my hair loss since 2006, so over 12 years now. 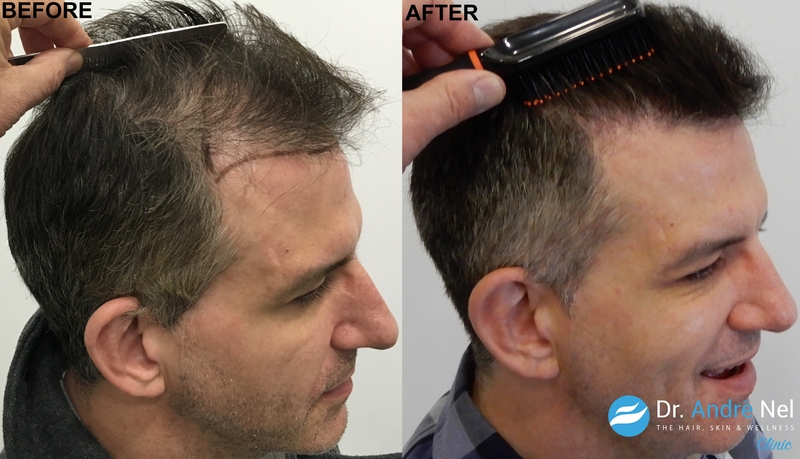 I guess I started to pay serious consideration towards having a hair transplant rather than just trying to manage my hair loss a couple of years ago." Steven speaking on his hair loss. "I had three consultations with three different organisations over a period of six months. I was doing my own research and trying to gather as much information as I could. Two of the consultations were effectively sales people trying to sell the service. One of them really didn’t know a lot about some of the technical questions I was asking. To be fair to them, they would take note of my concerns, find out the answer and come back to me. This really didn’t instill that much confidence in me. The other organisation, again a sales person, ran through the basic consultation, outlined the cost in the UK but then moved onto the benefits of going to their fully qualified experts abroad, with flights included etc. It just didn’t fill me with confidence, plus if something went wrong with my hair (post-op) I wanted to be able to go to the people that had performed the procedure within a short space of time to make sure that everything was ok or to resolve it if there was an issue." Steven speaking about the day of the procedure, “The time flew by. I remember having a conversation about Star Trek and Stranger Things, other than that I don’t remember a lot of it but I know that I was cared for, I felt quite comfortable, I may have even fallen asleep during the procedure." "Post procedure there was some swelling and redness. I was probably back to my normal routine at home within a couple of days. I think I first went out just shy of 2 weeks. Despite there being some skin discoloration in the scalp area you would really have to stare hard and look for it to notice it. Within a coupe of weeks I would say I was back to my normal operations." 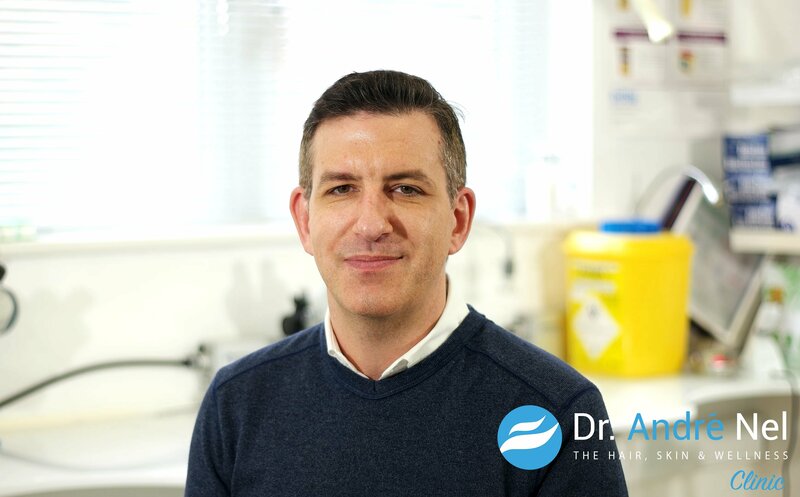 "I can’t stress enough how much Dr. Nel and his team look after you as a patient from the very first time you walked in the door at consultation phase, all the way through to post operation phase." If like Steven, you have a concern about hair loss and would like to learn more about what treatment options are available to you, contact The Hair, Skin & Wellness Clinic today.